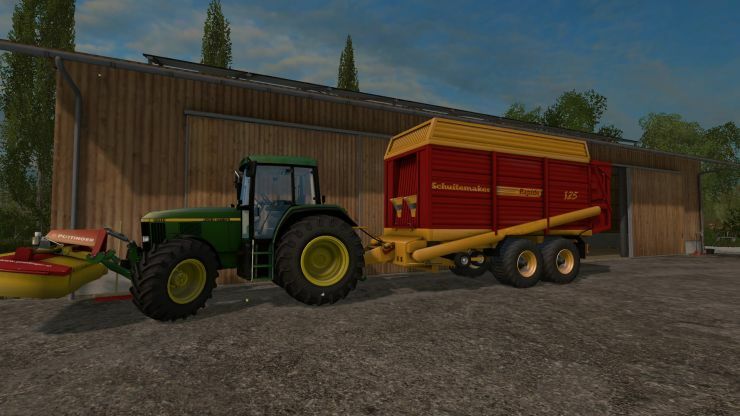 Schuitemaker Rapide 125 Mod from Euro DZN converted and extended to FS15 Standard. Changed Lights to FS15 Standard, added Specular and Dirt Texture, added Power Consumer. Filltypes are Grass, Chaff and Straw. Have Fun with my Version of this nice Loader Wagon.